The other day I stopped by Barclay Rex on Pearl St. and saw a number of boxes of Sans Pareil and La Instructora cigars (La Instructora reviewed here) set up on a few corner shelves. La Instructora cigars are marked by their seemingly modern-art inspired bands, with Sans Pareil marked by simple, mono-colored bands. Anyone familiar with Sans Pareil will know that they are aimed at the high end of the cigar market. 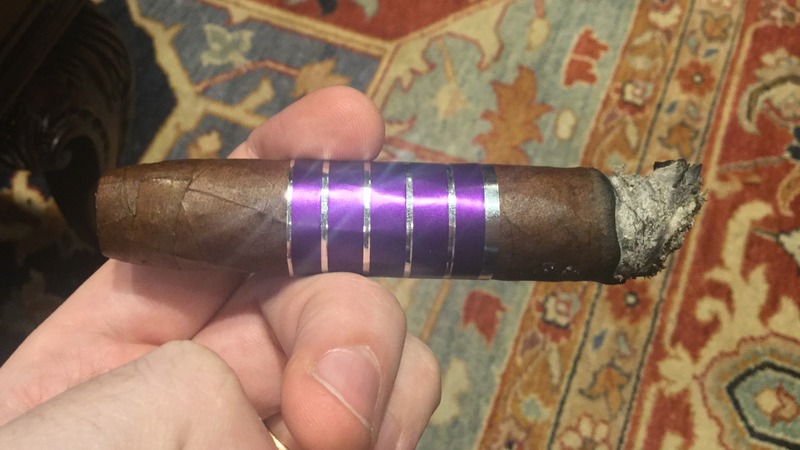 Sans Pareil Purple Belicoso cigars for example, are $48 a piece, landing them at a price range occupied by few other cigars (the Davidoff Royal Robusto being one of them). Sans Pareil is French for “without equal”–a gutsy claim. Let’s see how the cigar stacks up to it. The cigar is moderately springy when squeezed. There are two large veins running the length of the cigar which protrude significantly. The pre light draw features touches of wood, sweet milk chocolate, caramel, and hints of spice. Now for the branding. I get what Saide is doing with the band being the logo. There is a certain argument to be made for elegance in simplicity. At the same time, I’m a firm believer that to attract a luxury consumer, a brand needs to present itself accordingly. I’m not convinced the somewhat flashy branding on this cigar will convince many smokers to take such a large risk, both in terms of money, time and potential disappointment. The Sans Pareil Purple opens with tons of medium bodied smoke. Flavors up front include spice, wood, and chocolate. On the back end of the Smoke is salted caramel and touches of butter. At about an inch in, the spice has drawn way down, leaving chocolate, salted caramel, and peanuts as the predominant notes. Very enjoyable. The retrohale is medium bodied and carries the spice note. Moving into the second third, the body is still at a solid medium, but the flavor builds quickly to full strength. It’s always great to have a cigar that tells a story – and a cigar at a $48 price point needs to tell a story to justify the cost. The burn has deviated significantly, requiring two touch ups. At halfway in, the flavors have remained constant, but the strength and body have fluctuated considerably. Moving into the final third, the strength and body has increased significantly. Flavors include cedar, cracked black pepper, and espresso. The sweetness of the chocolate note has faded, leaving a dark chocolate in its place. Very good. 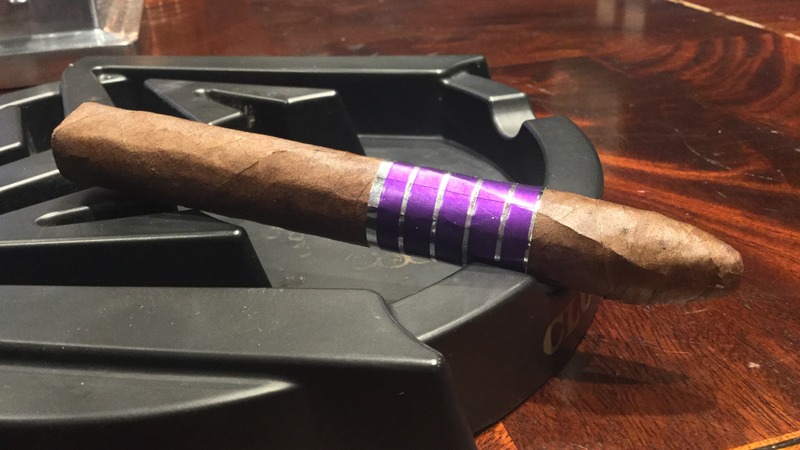 The Sans Pareil Purple Belicoso is a complex, harmonious, and enjoyable cigar that tells a satisfying story. Does it justify the $48 price tag? 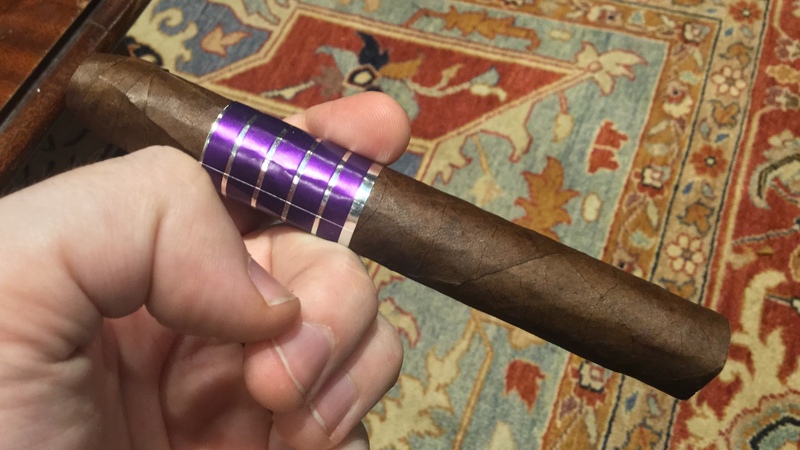 For myself, I don’t think so–there are too many quality options at lower price ranges that I think compare well to this cigar. But the Sans Pareil Purple definitely hangs in there with other high-priced options from Davidoff, Padron, and Fuente. If you have the cash, give it a try and decide for yourself. I’ll look forward to trying the Red and Blue blends.